Can you help Escape Publishing choose a new category? My publisher, Escape Publishing, is updating their website and revamping their categories for various books. 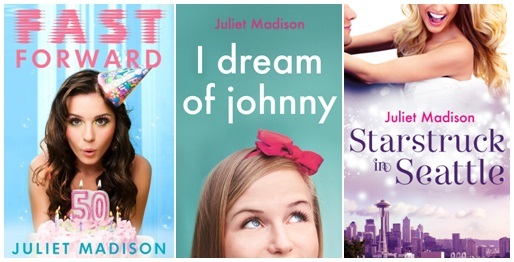 They are looking for the right name to give a category of books that don’t quite fit into other categories, including some of my books such as Fast Forward, I Dream of Johnny, and Starstruck in Seattle. What these books have in common is that they are set in the real world but have elements of something magical or supernatural, but are not full-on paranormals or fantasy books. They may be comedies or emotional dramas or mysteries, but all have a magical element that is crucial to the story, such as time travel, ghosts, wishes and magic lamps, illusions, premonitions, magic powers…etc. If you come up with the winning title you can win a set of these books from Escape Publishing! So what do you think? Are they best described as Romagic, Supernatural, Alternate Reality, Other-Worldly, Romantic Illusion, or something else? Have your say! Go to Escape’s blog and leave a comment with your email address to have a chance of winning the prize. Click HERE.